Fitness classes are open to residents of Belmont and surrounding towns, and targeted especially for participants age 50+. Beech Street Center classes are financially self-sustaining, with costs intended to cover instruction and supplies without profit. Scholarships funded by the Friends of the Belmont Council on Aging are available for Belmont residents with financial hardship -- please contact Nava Niv-Vogel to apply. Unless otherwise specified, please visit the Beech Street Center front desk to register for a class. Most classes require you to register for a series rather than drop-in days, and can be prorated based on which days of the week you attend. Please make checks payable to "Town of Belmont." ​All prices below are effective July 1, 2018 and are subject to change. A variety of low-impact moves and steps are combined and set to music. Movement combinations are performed at a consistent tempo to give an excellent cardiovascular workout while having fun. Through the various combinations all major muscles of the body are used. Intensity can be varied to accommodate most fitness levels. After a cool-down period there is a brief set of upper body strengthening exercises. Taught by Kim Clements. Cost: $40 for 8 classes. Mondays and Wednesdays at 2 p.m. These exercises are designed to relieve pain from arthritis and other chronic conditions. They improve range and ease of movement while also emphasizing posture, balance and fall-prevention. 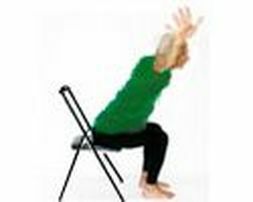 All exercises can be adapted to be performed in a chair or standing. 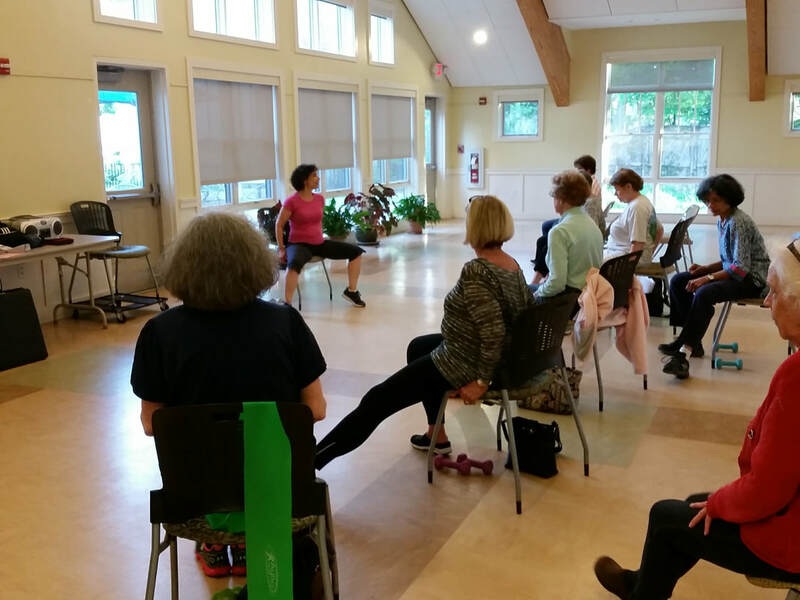 Instructor Muire Flynn has been teaching fitness classes for more than 23 years, and has highly specialized training through the Arthritis Foundation. Among her specialties are classes and programs to relieve pain in the lower back, sacrum hip, shoulders, upper back, and neck. Cost: $40 for 8 classes. Tuesdays and Wednesdays at 9:30 a.m. Lessons on our outdoor Bocce court, with equipment provided by the Beech Street Center. Choose one day or multiple days. Lessons are canceled on rainy days. Taught by Maria Mingace. Cost: Free. 4 Wednesdays, 1:30 p.m. 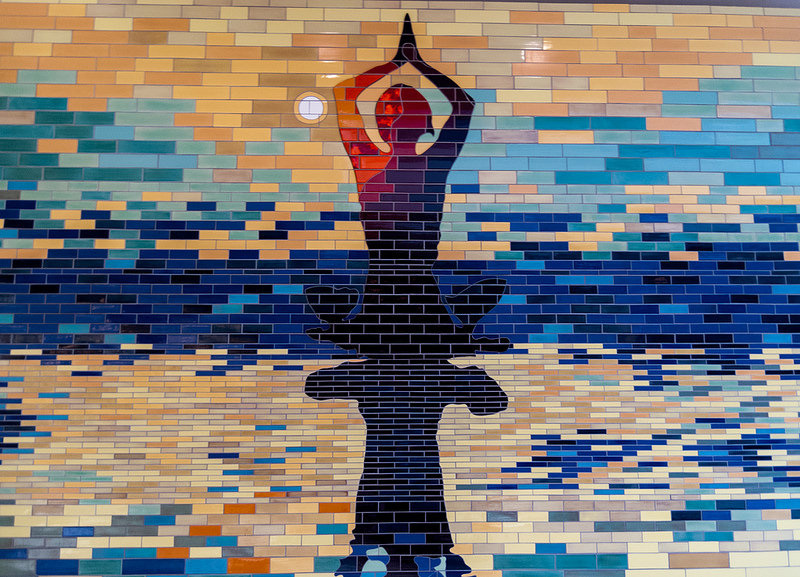 These modules with Loni, Peggy, and Carol emphasize one theme each month (such as balance, yoga for backs, yoga for arthritis, yoga for relaxation). In September, Peggy leads with a focus on balance. In October, Loni leads with a focus on balance. Cost: $24 per 4 sessions. Thursdays, 9:30 a.m. to 11 a.m.
Work the core muscles of the body for strength, stability, and posture while also toning abdominals, back of arms, hips, and waist. Also stretch areas that are prone to getting tight and less flexible (the back, hamstrings). Particular attention will be on learning to perform the exercises properly for maximum benefit. This class is an excellent supplement to other workouts such as walking or aerobics. Susan Barbato, Certified Fitness Trainer, is a popular exercise instructor at our Center. Cost: $50 for 6 classes. 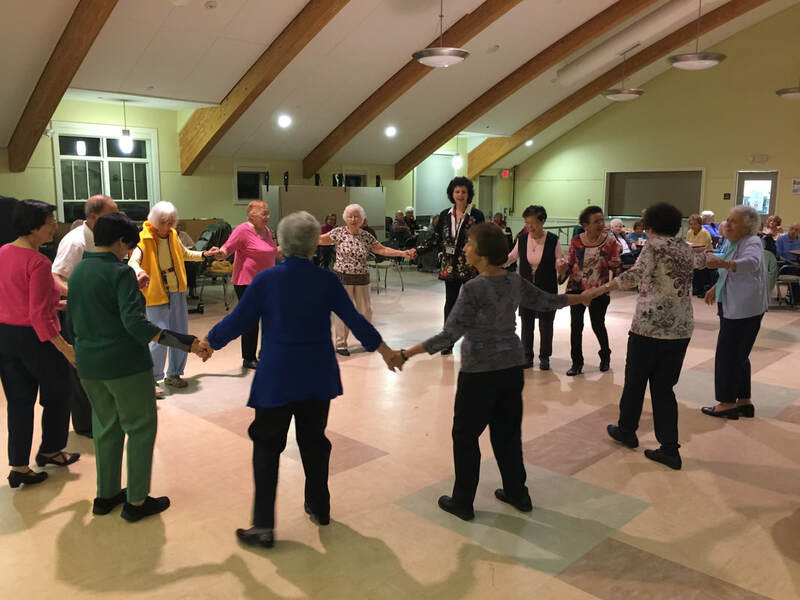 Wednesdays, 11:40 a.m. – 12:30 p.m.
Instructor Susan Lind-Sinanian teaches folk dances from traditions including Greek, Armenian, and Arabic cultures. Beech Street line dancers and new participants welcome! Cost: Free. Fear of falling can limit your activities, resulting in physical weakness and making the risk of falling even greater. This evidence-based program reduces the fear of falling and increases your activity level. Two trained facilitators and a small group help you see falls as controllable, set goals, reduce fall risk at home, and exercise to increase strength and balance. Through grant funding, the Belmont Council on Aging and Springwell are offering this class (priority to Belmont residents). Cost: $10 payable to Town of Belmont for materials. 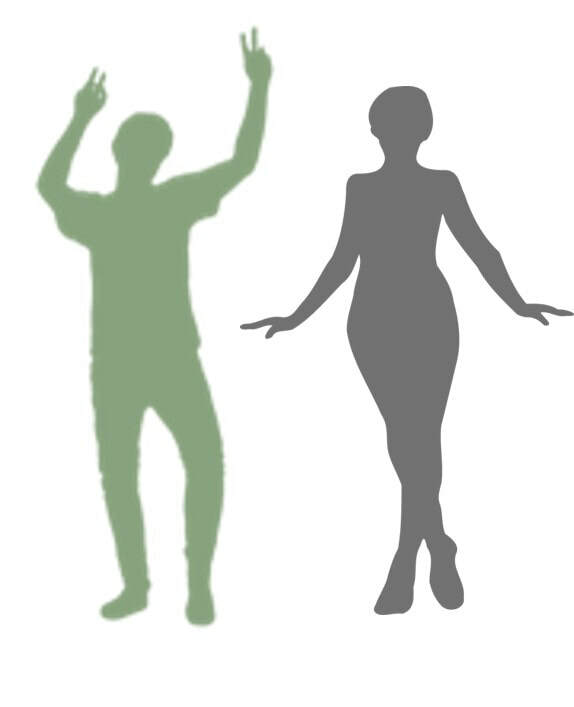 6 Tuesdays , 2:45-3:45 p.m.
Good Posture equals Good Balance! This class is for anyone who wants to improve their balance and control. Learn how to strengthen and lengthen postural muscles while correcting imbalances in your posture that can lead to pain, lack of mobility and confidence. Taught by personal trainer and former ballerina, Kim Clements. Cost: $48 for 6 classes. Yoga is an effective way of maintaining or regaining balance, flexibility, and strength. The postures are gentle or strong, as each person is able, and can contribute to slowing down the osteoporosis process in the body. The class is a mixture of stretching and yoga postures, with a closing meditation. Bring your sense of humor along with your mat! Mina has taught continuing education and a senior yoga classes in Watertown for 15 years, and has been practicing yoga for over 40 years. Cost: $48 for all 6 classes. Mondays and Wednesdays at 1:30 p.m. OR Tuesdays at 11 a.m. OR Fridays at 1:15 p.m.
Tuesday, July 31 and Tuesday, Aug. 7, 4:30-5:30 p.m.
Belmont Police Detective Sergeant William Regan will teach situational awareness and practical self defense techniques for a female audience. He demonstrates kicks, hand strikes, knees and other striking techniques from a standing or sitting position. He also give advice on home lighting and ways to protect the exterior of your home. Participants should plan to attend both nights. This class is FREE but sign-up is required by July 24. Wednesdays at 10:30 a.m. OR Fridays at 10:30 a.m. Learn essential forms of Tai Chi to help improve balance, posture and reduce stress. 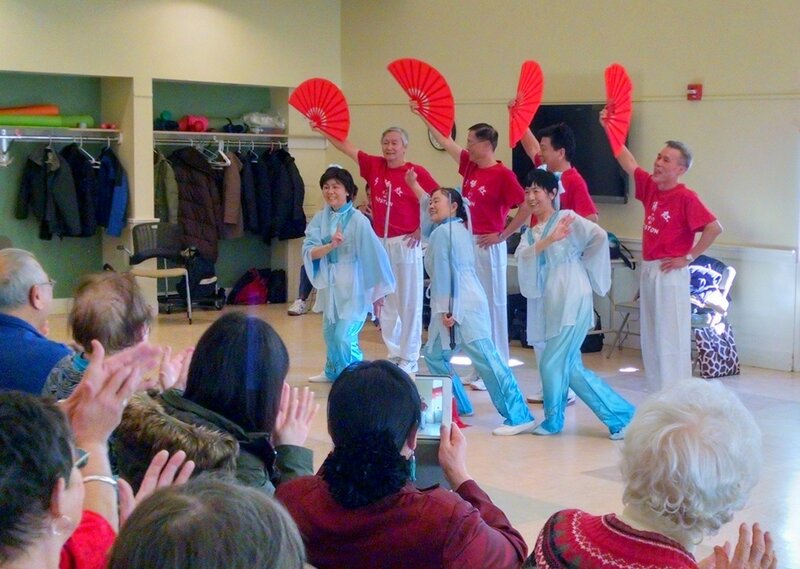 Studies have shown that seniors doing Tai Chi can benefit by increased circulation and lowered blood pressure. Calvin Chin teaches Wu style Tai Chi, the same movements he teaches to seniors at Calvin Chin's Martial Arts Academy in Newton Highlands, MA. Cost: $42 for 6 classes. This group is for people experienced with Tai Chi practice, and is self-led without an instructor. Newcomers are welcome at any time without registering in advance. Cost: Free. Tuesdays and Fridays at 9:30 a.m. Enjoy some fresh air and mild walking while also enjoying conversation and camaraderie. Meet in the lobby. Newcomers are welcome at any time without registering in advance. The group is canceled in cold or inclement weather. Cost: Free. Perfect for active adults, age 50+, who are looking for a modified Zumba® class that recreates the original moves you love at a lower-intensity. Classes taught by local instructor Veronica Kolb focus on cardiovascular fitness, muscular conditioning, flexibility and balance! Cost: $40 for 8 classes.